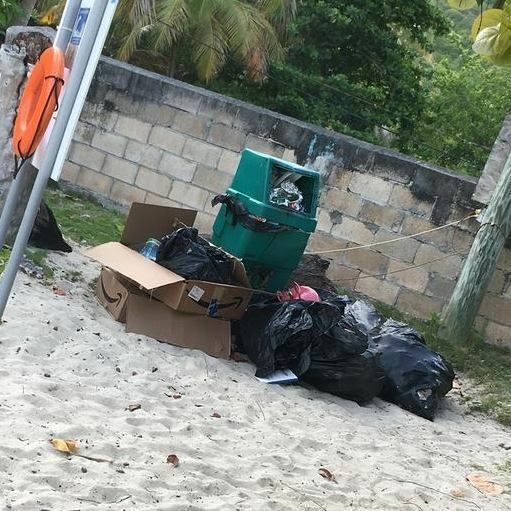 CANE GARDEN BAY, Tortola, VI - Premier and Minister of Finance, Dr The Honourable Orlando D. Smith, OBE recently called on residents to stop the improper dumping of garbage and keep the environment clean. 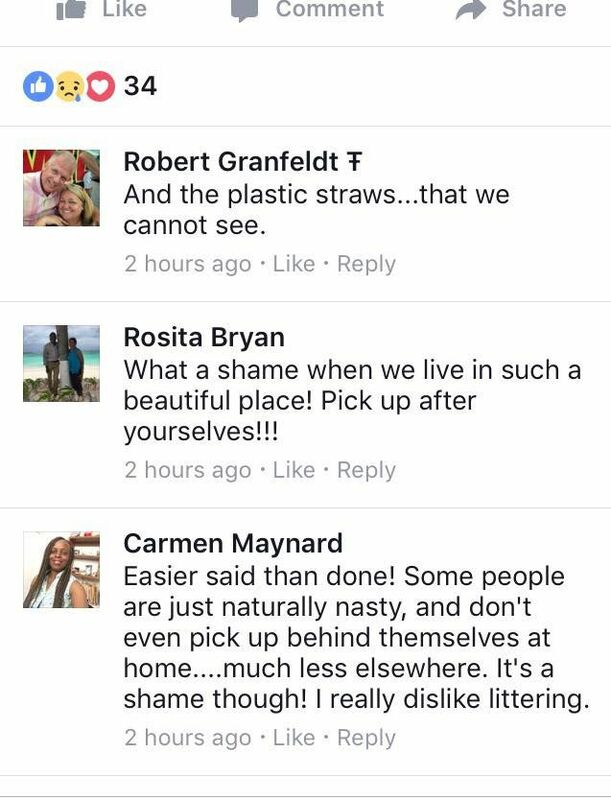 A few weeks after the Premier’s plea, a resident of Cane Garden Bay, Ms Din Hen, found herself expressing her frustration on the BVI Community Board’s Facebook page regarding the dumping of garbage on the beach. Ms Din Hen stated that although the Department of Waste Management (DWM) provides only one trash bin on the beachfront, all the restaurants provide trash bin for their customers. 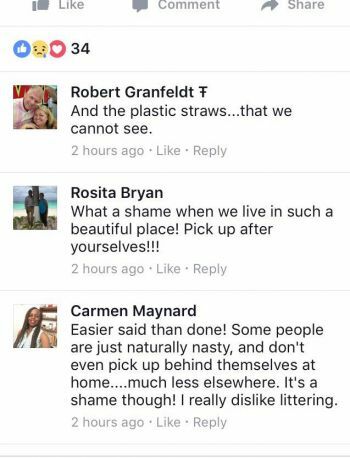 This drew a response from members of the community who were in agreement with Ms Din Hen. Pot calling kettle black meson. Like everybody from here keep their places spick and span, free of litter and debris. Follow the school bus sometime, or the taxi man taking workmen home. I doubt they does clean their a&es or q*nts? Only an area to make money, not for aesthetics of any kind! Have you seen the environs of the residents of that area? Oh, I love my Cane Garden Bay. Our family has been coming for years. 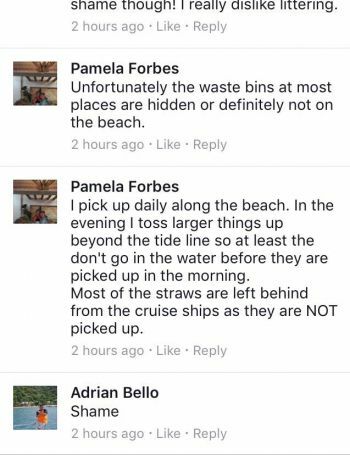 While there have been improvements to ensure the cruise passengers can swim and relax somewhat comfortably, I think that more can be done to enhance the whole Cane Garden Bay village. For a place that gets the mosts tourists, the Government Members can take better care of the surroundings in CGB. There are old buildings and wooden bars by the sea side (upper Bay) that needs to be taken down, and around some homes need a good landscaping. There are too many boats parked in the area of Quitoes and a little further down going towards Bobby's Supermarket. Sadly, but the Cemetery appears to be the best-kept area. It may mean there is greater respect for the dead. And who gave permission for cars to be parked on the roadside to a garage. It is most unsightly. CGB is the first place that must fall under a formal beautification plan. 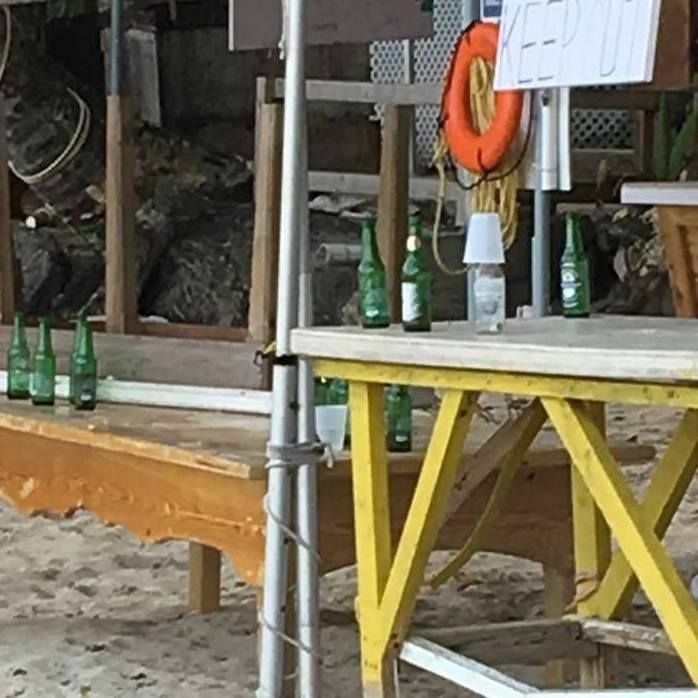 Please, Government, do something about this tourism product before people start going some place else in the Caribbean where they care about the aesthetics of their environment. I still regard CGB the best beach ever. With some beautification plans, it would be wonderful. I also wonder if they realize just how much cancerous hatred they're precipitating in this once-great country.